In his Dec. 20 interview to the London Daily Express, Russian Railways President Vladimir Yakunin emphasized that it would be feasible within a decade, to link the world together by a Bering Strait tunnel between Russia and America. A review of late-2009 government documents and regional press from Russia's Far East regions demonstrations that officials there are indeed planning for this to happen. Magadan Region, famous for its gold mines and brutal prison camps in the mid-20th century, is situated on Russia's Pacific Coast - north of Khabarovsk Territory and south of Chukotka, the province which borders on the Bering Strait. The Territorial Planning Scheme for Magadan Region, publicized Sept. 9 by the Advis.ru agency, includes the Bering Strait project as follows: "The Magadan Region Territorial Planning Scheme takes into account the strategy for the development of both the Far East and Russia [as a whole]. 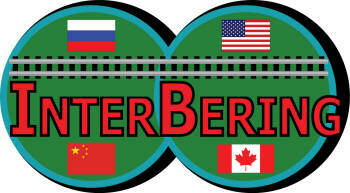 It includes, for example, such a 'megaproject' as the Transcontinental Railway BAM - Yakutsk - Uelen [where BAM stands for Baikal-Amur Mainline], with a line through Magadan Region and a tunnel across the Bering Strait to Alaska - a project which has been included in the Russian Federation Transport Strategy for the Period to 2030, and which is viewed by the Russian and U.S. 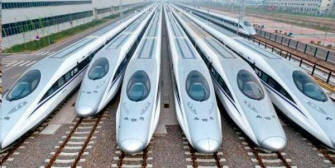 Governments as the greatest infrastructure project of the 21st century. 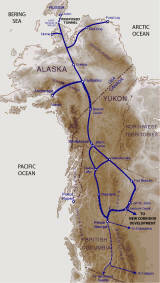 In the long term, completion of this Transcontinental Railway to Alaska will make it possible to diversify the raw-materials orientation of the Magadan Region's economy, with the creation in the city of Magadan of a new, multimodal transportation node, through which freight flows connecting Canada and the USA with the Pacific nations will pass. This means the railway, first and foremost, but also a role for Magadan Region in a Transarctic Air Corridor, connecting America, Southeast Asia and Australia by the shortest routes; and it means the development and rebirth of the importance of the Port of Magadan on the Sea of Okhotsk." On Dec. 25, Yakutia24.ru carried a year-end feature on the operations of the Republic Investment Company (RIK) of Yakutia-Sakha Republic, the huge East Siberian region which reaches up to the Arctic Ocean, based on an interview with its director Alexander Fedotov. It reported that the first leg of the planned northern rail line, the segment from the existing BAM up to the city of Yakutsk, is already under construction: "The RIK [this year] spent almost half the funds they invested - 10 billion 535.4 million rubles [about $350 million], to be precise - on a project of strategic importance not for our republic alone: construction of the railroad line Berkakit - Tommot - Yakutsk. Despite the world crisis and other upheavals, the builders have already laid 266 km of track, built 45 railroad bridges, moved [about 29] thousand cubic meters of earth for the roadbed, and cut 2564.6 hectares of right-of-way through the forest." RIK's total investment in this part of the project will be 14.8 billion rubles out of the 49.4 billion rubles cost of construction. The RIK also financed design development for the rail bridge across the Lena River. The bridge itself will cost 50 billion rubles and be financed out of the federal program Development of the Russian Transport System. The Yakutia24.ru article continues, "As is well known, the Strategy for the Social and Economic Development of the Far East and Baikal Region to 2050 calls for construction of the railroad to continue in the direction Yakutsk (Nizhny Bestyakh) - Moma - Magadan. ... And then the idea of building an underwater tunnel across the Bering Strait in the not too distant future already seems less fantastical. At a certain point, it will suddenly become clear that our Yakutsk is sitting on the most economically advantageous route from Europe to America. And among those who will have brought this almost unbelievable moment closer, with their labor, the Republic Investment Company will have to be counted." 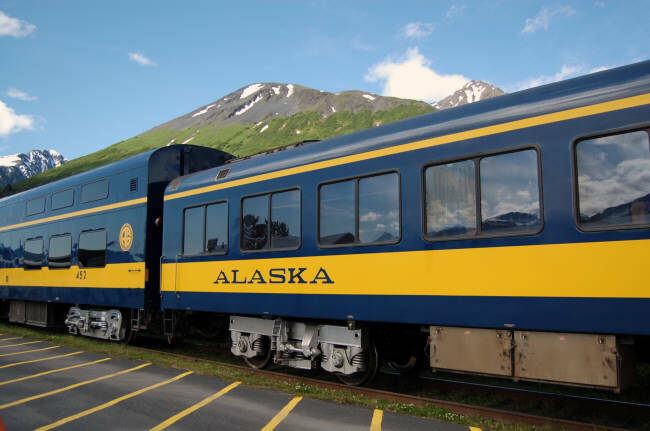 Even in the area of recreational adventure trips and among car enthusiasts, the reality of the Bering Strait rail line is catching on. The Russian auto site Kolesa.ru carries a press release announcing a new type of snow tire: "The Cordiant Polar 2 has been chosen by the organizers of the Polar Ring expedition for use on the fourth leg of the expedition, which will take place between the end of 2009 and 2011. The route of this leg of the polar expedition traces that of the future major railway line from the banks of the Lena River to the Chukotka village of Uelen on the coast of the Bering Strait: Yakutsk - Pravaya Lena - Zyryanka - Uelen, and then will cross the Bering Strait, pass along the coastline of the Alaska and Canada archipelago and end at the Canadian village of Resolute Bay."